Roald Dahl's Imaginormous Challenge Announces Five NEW Lucky Golden Ticket Winners! "From the youngest winner, Giselle Decker, at just 6 years of age, who imagined a unicorn kitty named Bubblegum and had her story idea transformed into a 3D printed, edible candy, to Anusha Senapati, an 11-year-old whose idea about a paralyzed girl who longs to dance was transformed by the cast and crew of "Roald Dahl's Charlie and the Chocolate Factory" on Broadway into a choreographed dance number, each winner had the opportunity to work with industry leaders to help them realize their full creative potential..."
This summer, for the first time since Charlie Bucket won the prize of a lifetime, Penguin Young Readers, along with some of Mr. Wonka's most trusted advisors, has chosen five children from across the United States to become the 5 NEW lucky golden ticket winners! Roald Dahl's Imaginormous Challenge, which recently concluded its first year, received over 20,000 imaginative story ideas from American kids aged 5-12 across the U.S.—a record breaking entry level! From the youngest winner, Giselle Decker, at just 6 years of age, who imagined a unicorn kitty named Bubblegum and had her story idea transformed into a 3D printed, edible candy, to Anusha Senapati, an 11-year-old whose idea about a paralyzed girl who longs to dance was transformed by the cast and crew of "Roald Dahl's Charlie and the Chocolate Factory" on Broadway into a choreographed dance number, each winner had the opportunity to work with industry leaders to help them realize their full creative potential. Eleven-year-old Imaginormous winner Lucy Franks said of getting the chance to work with New York Times bestselling author Adam Gidwitz: "It was a once in a lifetime experience to be able to work with Adam Gidwitz, an author whose books I've read and enjoyed. He helped me develop my story and I left the session with some wonderful ideas. I can't wait to complete and share my story." 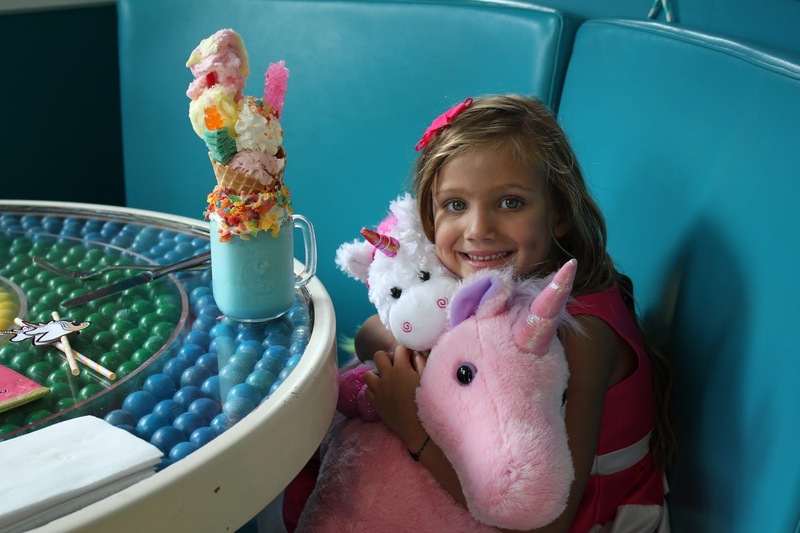 The final two winners' experiences are currently in the works: eight-year-old Sage Marie Spaeth will fly out to Hollywood to visit Warner Bros. Animation for her winning experience at the end of August, and eleven-year-old Cole Ritchie's winning idea is currently being transformed into a playable Minecraft experience, which will be available in a few weeks. "Roald Dahl's Charlie and the Chocolate Factory" on Broadway turned Anusha's winning story idea into a marvelous, theatrical creation. A team of Minecraft builders are transforming and reimagining Cole's winning story idea into a playable Minecraft experience for Cole and the world to enjoy. Following in Willy Wonka's footsteps and with the help of Dylan's Candy Bar, Giselle's idea was turned into a magical, edible creation – a 3D-printed piece of candy! The Golden Ticket winners also won the chance to see the new Broadway musical "Roald Dahl's Charlie and the Chocolate Factory" in New York City the first weekend in August and are now traveling on an incredible family trip for four to the UK provided by Norwegian Air, which has two aircraft with Roald Dahl as its tailfin hero.The first was introduced last year, and the second was just put into service this summer. If you didn't win in 2017, do not despair! It has been confirmed that the Challenge will be coming back bigger and better then ever in 2018. Roald Dahl's Imaginormous Challenge is all about inspiring imaginative story ideas in children 5 to 12 years of age. Recurring annually, the challenge aims to capture a million story ideas from children across the United States by 2020. Go to imaginormouschallenge.com TODAY to find out more about entering next year. Remember, all it takes is 100 words to enter – and the prizes are set to be just as spectacular in 2018.